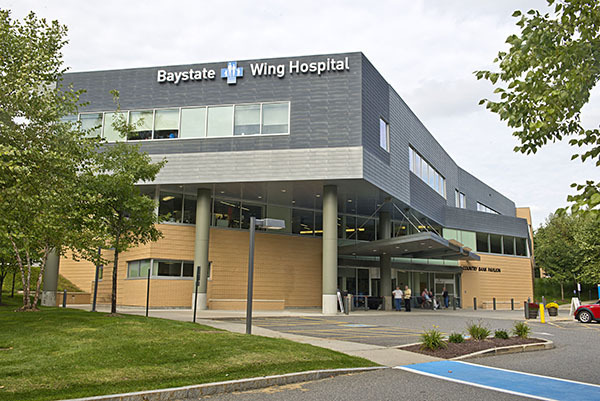 In 2014, Wing Memorial Hospital, based in Palmer, Massachusetts, and associated medical centers in Palmer, Belchertown, Ludlow, Monson, and Wilbraham, became part of Baystate Health. Now called Baystate Wing Hospital, it also includes the Griswold Behavioral Health Center and the Wing Visiting Nurse Association & Hospice. 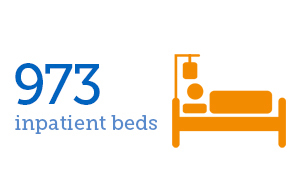 The 74-bed hospital includes emergency, diagnostic, medical, surgical, and psychiatric services. The hospital has a proud 100-year history of serving the communities of the Quabog Valley. 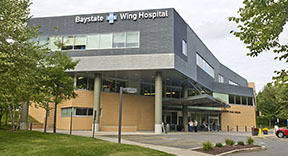 Click here to watch a video of Baystate Wing Hospital. Baystate Medical Center was named a 2014 Truven® Healthcare Analytics 100 Top Hospital, Major Teaching Hospital, and a 50 Top Cardiovascular Hospital. To see a list of our major health system awards, see the Awards section of the annual report. 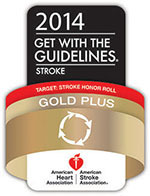 Baystate Franklin Medical Center received the Get With The Guidelines® (GWTG) Stroke Gold Plus Quality Achievement Award from the American Heart Association recognizing their commitment to quality care for stroke patients. 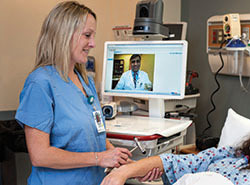 Baystate Franklin Medical Center and Baystate Mary Lane Hospital were among western Massachusetts community hospitals to be awarded grants from the state’s Health Policy Commission to enhance telemedicine services and enable patients to remain in Greenfield and Ware while being seen, on screen, by Springfield-based specialists. Baystate Wing Hospital received the Get With The Guidelines® (GWTG) Stroke Silver Plus Quality Achievement Award from the American Heart Association recognizing their commitment to quality care for stroke patients. Baystate Franklin Medical Center was the recipient of the 2014 Breastfeeding Achievement Award from the Massachusetts Department of Public Health. Baystate Franklin Medical Center is one of the first of 21 hospitals to implement the practice of skin to skin contact within the operating room for mothers who have had a Cesarean section. Skin to skin contact improves breastfeeding outcomes, stabilizes blood glucose, decreases pain and stress, and regulates heart rate. The Baystate Visiting Nurse Association & Hospice celebrates 100 years of service to our community. Founded in 1914 as a baby feeding association to help immigrant mothers care for their newborns, the Baystate Visiting Nurse Association & Hospice has adapted to the times and the needs of the community. 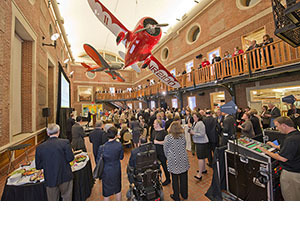 A celebration event was held in October and raised over $300,000. Click here to watch a video on how the Baystate Visiting Nurse Association & Hospice has helped patients. 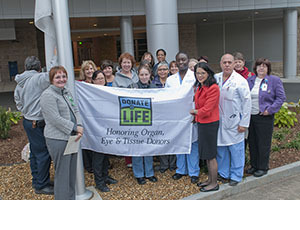 Baystate Medical Center, Baystate Franklin Medical Center, and Baystate Mary Lane Hospital received honors for excellence in organ and tissue donation, both in clinical areas of practice and donor registry enrollment, by LifeChoice Donor Services, a federally designated organ procurement organization, and the U.S. Department of Health and Human Services. 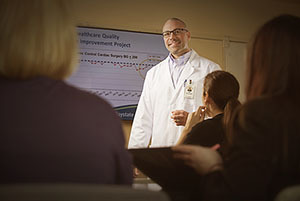 Baystate Mary Lane Hospital and Baystate Wing Hospital were honored as The Joint Commission 2013 Top Performers on Key Quality Measures hospitals. 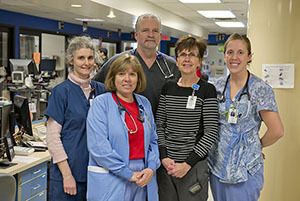 Baystate Mary Lane and Baystate Wing have been recognized for excellence in accountability measure performance shown to improve care for pneumonia and surgical care and are two of only 1,224 hospitals in the United States and 25 Massachusetts hospitals to achieve the distinction of a 2013 Top Performer. Baystate Medical Center’s lung program received the Lung Cancer Alliance “seal of approval” as a Screening Center of Excellence – the only one in western Massachusetts. 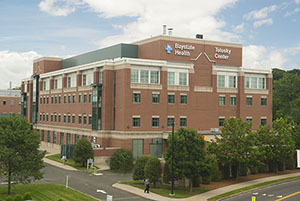 Baystate Medical Center’s lung screening center was noted as providing clear information on the risks and benefits of CT screening, complying with standards based on published best practices, working with a lung cancer multidisciplinary clinical team, establishing a comprehensive cessation program for those still smoking, and reporting results to those screened and to their primary care doctors. 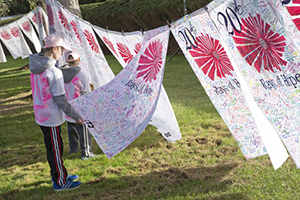 Rays of Hope – A Walk and Run Toward the Cure for Breast Cancer was honored as “Best Charity” for the second consecutive year at The Republican and MassLive’s Winter-Spring “Reader Raves” awards celebration. 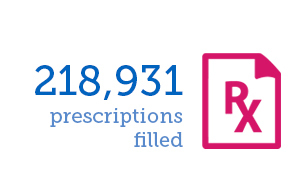 Since 1994, Rays of Hope has raised over $13 million, with all monies remaining local and administered by the Baystate Health Foundation to assist patients and their families affected by breast cancer. U.S. News & World Report has ranked Baystate Children’s Hospital among the top programs in the nation in pediatric endocrinology and diabetes. 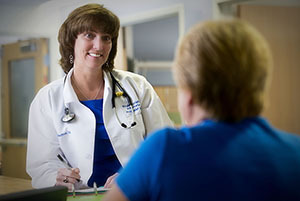 Critical-Care Nurses (AACN). 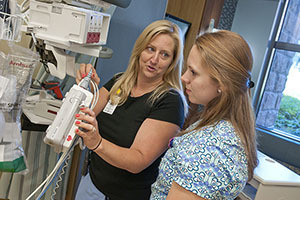 The Beacon Award for Excellence recognizes unit caregivers who successfully improve patient outcomes and align practices with AACN’s healthy work environment standards. Health New England (HNE) is the highest ranked Medicare Advantage HMO/POS Plan in Massachusetts based on the 2014-2015 NCQA rankings. In NCQA’s Medicare Health Insurance Plan Rankings 2014–2015, HNE ranked 16th out of 408 Medicare health plans across the country. HNE is the top ranked Medicare Advantage Plan in Massachusetts and the 13th in the nation based on National Committee for Quality Assurance (NCQA) Medicare Health Insurance Plan Rankings. The Commissioner of Public Health has designated Baystate Medical Center as one of six Massachusetts health care facilities as the state’s Tier 1 Ebola response facilities equipped to potentially receive an Ebola patient. 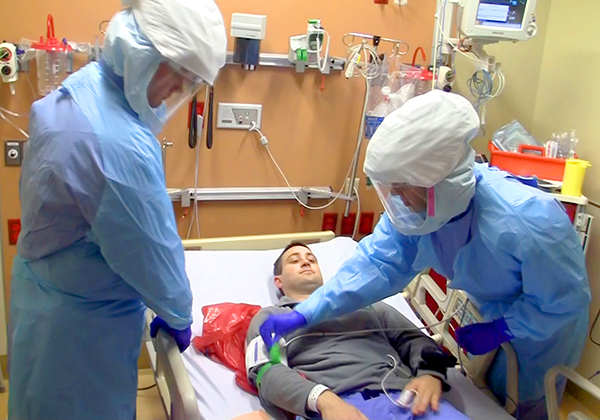 More than 100 nurses and physicians at Baystate Medical Center are being trained and re-trained in the use of Personal Protective Equipment and will be called upon to care for suspected or confirmed Ebola patients. 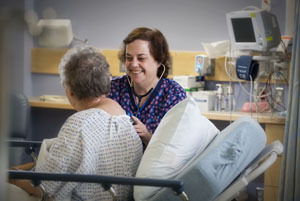 To ensure patients receive the right care in the right place at the right time and to address ongoing capacity issues – physicians, nurses, and other care team members are participating in the Patient Progress initiative – one of the largest and most complex Performance Improvement initiatives ever at Baystate Medical Center. The efforts of over 200 team members in 2014 has shown positive results with achievements in length of stay reductions and decreasing ED walkout rates. In 2014, the Caregiver ID program was implemented in response to feedback from patients and families. 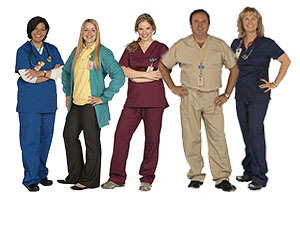 Caregivers in the same role now wear the same color. This effort will help patients and families identify their caregivers quickly and easily. Click here to see employees show off their Caregiver Identification colors. Baystate Urgent Care – Northampton opened at 325 King Street in the Northampton Outpatient Center. It’s open Monday through Friday from 10 a.m. to 8 p.m. and Saturday and Sunday from 9 a.m. to 5 p.m. 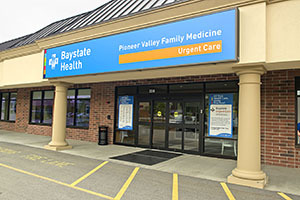 This is the third Baystate Urgent Care facility, joining locations in Belchertown (95 Sargent Street, Route 9) and Springfield (3300 Main Street). Honoring his foresight in planning for outpatient growth and perseverance in transforming an underused stretch of Main Street in Springfield, the Baystate Health Board of Trustees named the outpatient care facility at 3300 Main Street in Springfield in honor of Mark R. Tolosky, President Emeritus, Baystate Health – calling it the Tolosky Center, recognizing his 22 years of distinguished service to the organization. In 2014, patients at Baystate Mary Lane Hospital’s emergency department were seen in less than 30 minutes on average 90 percent of the time. While Baystate Mary Lane Hospital’s pledge is to see every patient within 30 minutes, patients experiencing the most critical health emergencies continue to receive care first. Wait times are posted on iTriagehealth.com. Baystate Health was once again recognized as a ‘Most Wired Hospital’ by the American Hospital Association and Hospitals & Health Networks, a recognition we have earned each year since 2011. 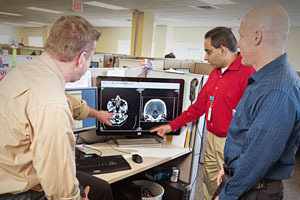 Compiled by Hospitals and Health Networks, the Most Wired survey assesses health care organizations on their progress in adopting, implementing, and using information technology in four critical areas: infrastructure; business and administrative management; clinical quality and safety; and care continuum. 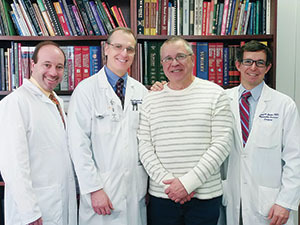 A new incision-less technique called per-oral endoscopic myotomy (POEM) is being performed at Baystate Medical Center to treat esophageal achalasia, a rare disorder of the esophagus affecting its ability to move food toward and into the stomach. 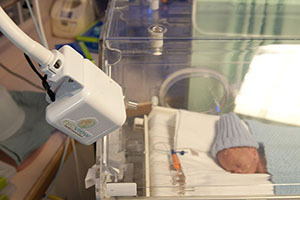 The EvvGirl Foundation purchased six NicView cameras, part of a webcam system that offers parents a secure view of their baby in Baystate Children’s Hospital’s Neonatal Intensive Care Unit (NICU). Parents can access the image remotely via their laptop, tablet, smartphone or desktop computer when they can’t be at the hospital. 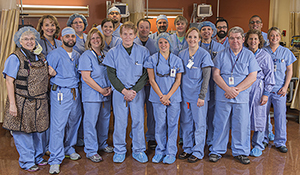 In 2014, team members in the cardiac catheterization laboratory in the Davis Family Heart & Vascular Center at Baystate Medical Center completed their 100,000th cardiac invasive procedure since the first diagnostic catheterization was performed in 1973. Baystate Medical Center is home to the only full-service interventional cardiac catheterization laboratory in western Massachusetts. 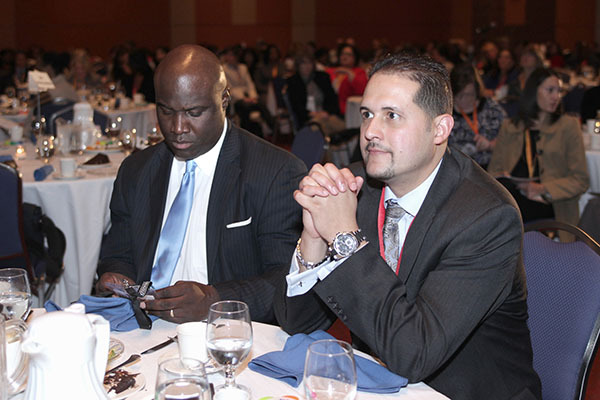 The 2014 Baystate Health’s Diversity & Inclusion Conference, held in Springfield on September 17, was a huge success attracting about 400 attendees from 100 different organizations across the region. The conference offers the participants inspiration and ideas to build and support a business imperative of diversity and inclusion. 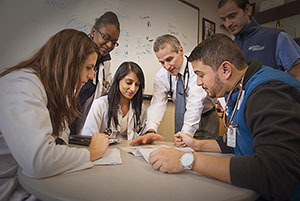 In 2014, and for the past several years, medical students have ranked Baystate Medical Center a top teaching hospital for its sense of community, quality patient care, research, and interdisciplinary educational environment. 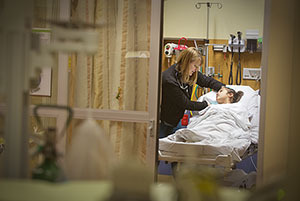 As the Western Campus of Tufts University School of Medicine, Baystate Medical Center is one of the school’s largest clinical training sites with some students spending their entire third year of training onsite. 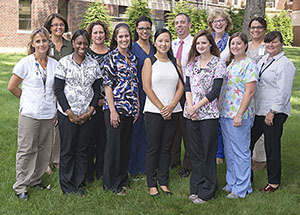 In 2014, Baystate Medical Center’s Nurse Residency Program graduated two classes. 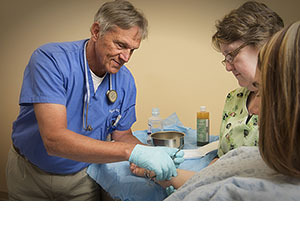 Baystate Medical Center Nurse Residency Program is a one-year curriculum for newly graduated registered nurses, offering hands-on clinical experience, in-depth learning through simulation training and monthly seminars, participation in evidence-based projects, and ongoing professional development. 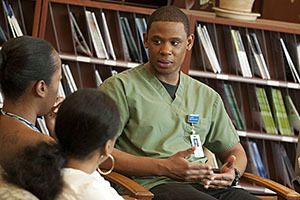 Click here to watch a video and hear from nurses who have attended the Nurse Residency Program. 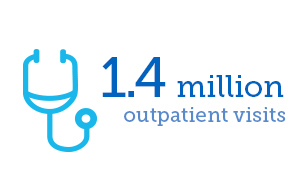 As an academic medical center and the Western Campus of Tufts University School of Medicine, in 2014 Baystate Medical Center welcomed 2,262 new residents, fellows, medical students, nursing students, and allied health students who gained comprehensive medical education during the year. In 2014, Baystate Health physicians and researchers published 339 peer reviewed journal articles, books, book chapters, and research presentations that helped shape the thinking of physicians throughout the world. 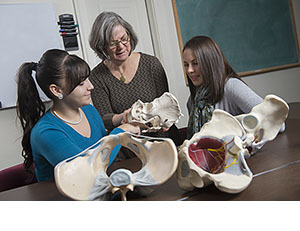 Baystate Medical Center’s Midwifery Education Program was recognized by The Accreditation Commission for Midwifery Education for the 100 percent pass rate of graduates on their first take of the American Midwifery Certification Board examination. Baystate Medical Center has one of only 39 accredited midwifery education programs in the country. 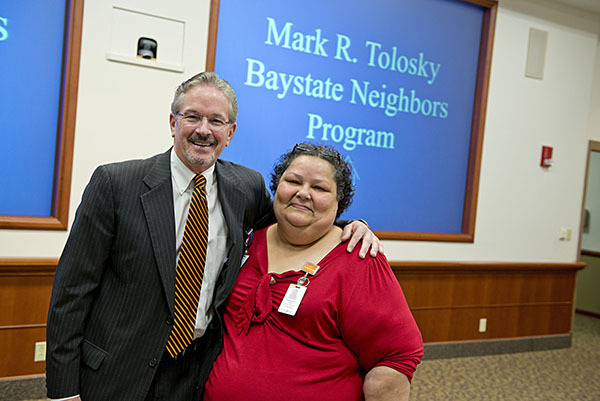 Named in honor of our past President and CEO, the Mark R. Tolosky Baystate Neighbors Program provides forgivable loans to Baystate Health employees purchasing their first homes in the communities surrounding our hospitals. Since 1999, Baystate Health has invested nearly $1 million in the futures of more than 140 employees and their families. Click here to watch a video about this program. 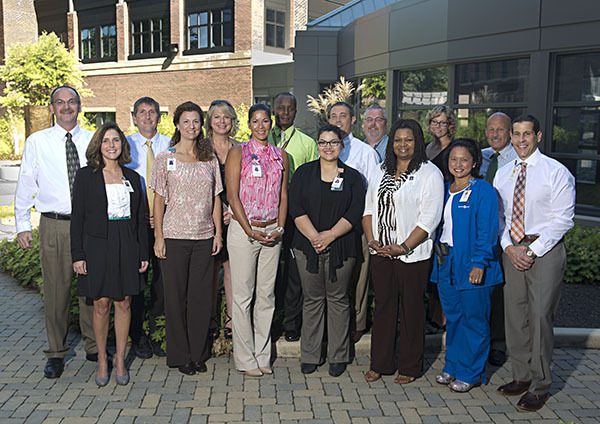 In 2014, the Association of Diversity Councils named Baystate Health’s Diversity Council one of the Top Diversity Councils in the United States. Baystate Health’s Employee Resource Groups BHLOVE (Baystate Hispanic Latino Organization Valuing Ethnicity) and Baystate Pride (LGBTQ) were also named 2014 Top 25 Employee Resource Groups in the U.S. by the Association of Employee Resource Groups and Diversity Councils. These awards recognize contributions in making Baystate Health an inclusive workplace, an employer of choice, and a great provider of health care. 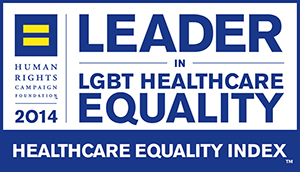 For four years, Baystate Health has been recognized in the Human Rights Campaign, Healthcare Equality Index as a “Leader in Lesbian, Gay, Bisexual and Transgender Healthcare Equality.” Baystate received a perfect rating in the 2014 report for its inclusive policies and treatment of the LGBT community. Baystate Health’s Springfield-based employees once again donated generously to the United Way of Pioneer Valley in 2014, exceeding its goal and raising $419,370, Baystate Mary Lane Hospital employees exceeded their goal raising $22,609 for the United Way of Hampshire County. Baystate Franklin Medical Center’s campaign raised about $42,040 for the United Way of Franklin County. For six years, Baystate Mary Lane Hospital has supported the critical need of recruiting and/or retaining Emergency Medical Services providers in area communities partnering with Quality EMS Educators of Worcester to offer EMT basic certification training. 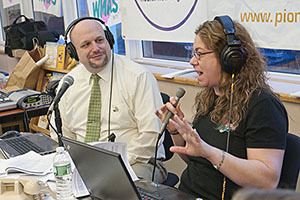 Held in March, the 13th annual 94.7 WMAS Radiothon for Baystate Children’s Hospital raised a record-breaking $254,341. 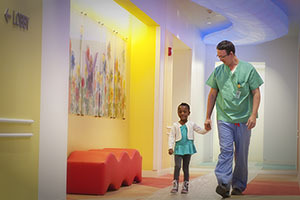 The three-day event, broadcast live from the Children’s Hospital Play Deck, shared stories of gratitude and generosity from patients, families, care providers, and community members. Since 2002, the radiothon has raised over $2.4 million for Baystate Children’s Hospital, our local Children’s Miracle Network Hospital. 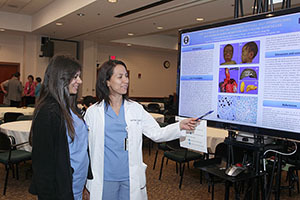 Baystate Springfield Educational Partnership offers Springfield-area high school students the opportunity to explore different career pathways to successfully prepare themselves for emerging opportunities in health care. 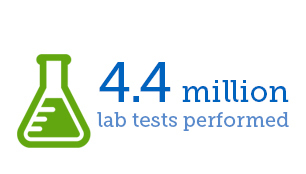 To-date, over 1,200 students have benefited. of just a few participants. 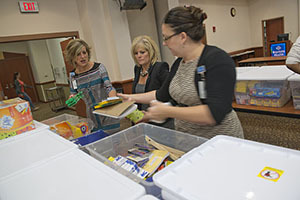 Baystate Health’s Springfield-based employees filled 140 totes with new school supplies that were collected and donated to five Springfield schools to help kick off the new school year. Employees throughout Baystate Health donated toys, coats, and other items to community members in need. A total of 2,500 new toys were collected through Baystate Medical Center’s annual “In the Spirit of Giving” Community Toy Drive benefiting Baystate Medical Center Health Centers, the New North Citizens’ Council, and Martin Luther King, Jr. Family Services in Springfield. 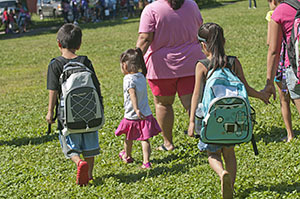 Baystate Health employees volunteered and distributed over 2,100 backpacks filled with school supplies to children who attend schools in their communities.